Directions: On the Big Island of Hawaii, tour bus or rental car. Once in the park, a short drive around to the various lookout points. 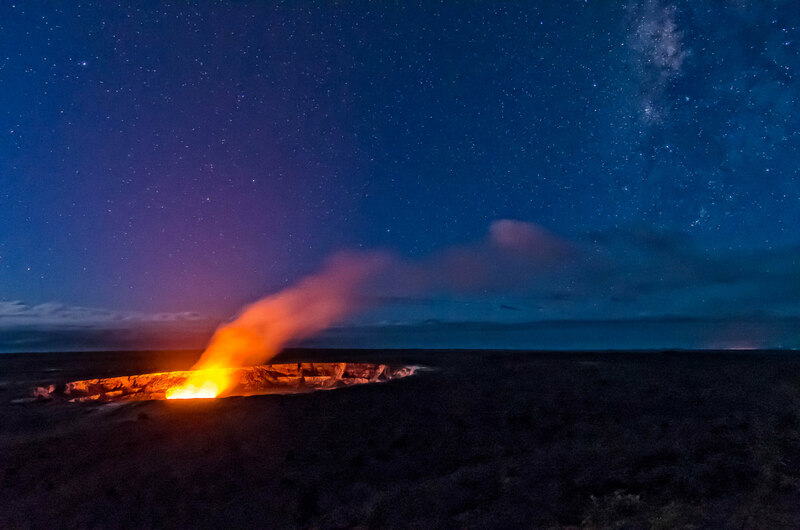 The volcano was in a “glowing” phase, enough to illuminate the steam clouds rising from the crater. It was a lucky guess to get up early and have a clear morning to get this shot, and to have part of the Milky Way. Suggestion for budding volcanologists is to check from rental houses just outside the park. It is a pleasant contrast to the warmer, beach climate elsewhere in Hawaii. to print out on pima cotton and sew it on my personal quilt.